Here is a complete and acurate list of all Homes For Sale on Southwest Michigan Lakes. Southwest Michigan is home to some of the best recreational, all-sport lakes in the Midwest! Our inland lake waterfront property experts have decades of experience in this market that covers four counties and several dozen inland lakes. 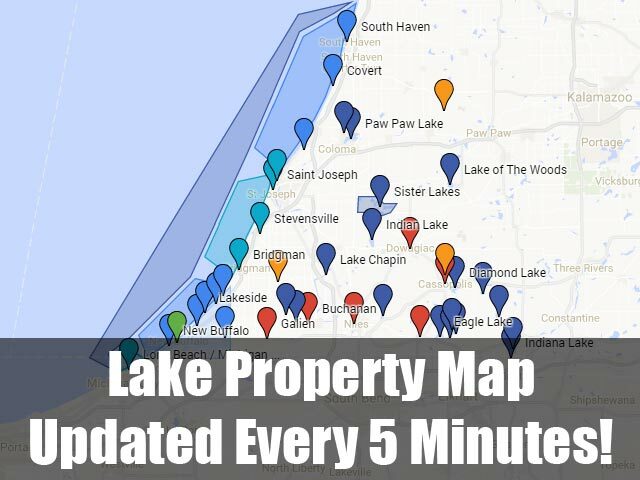 Use the quick links below to view all the current lakefront homes for sale in Southwest Michigan, or use my Map of Southwest Michigan Lakes with links to the waterfront homes, condos, and land for sale on each lake. Courtesy of Kelly L Smit with Michigan Lakes Team Inc.. Courtesy of David Cerven with RE/MAX Advantage. Courtesy of Kelly Toney with Cressy & Everett Real Estate. Courtesy of Dennis Bamber with Cressy & Everett Real Estate. Courtesy of David C Clark with Berkshire Hathaway HomeServices Michigan Real Estate. Courtesy of Bill Evenboer with Evenboer Walton, REALTORS. Courtesy of Dave Springsteen with Cressy & Everett Real Estate. Courtesy of Bill Evenboer with Evenboer-Walton, REALTORS.